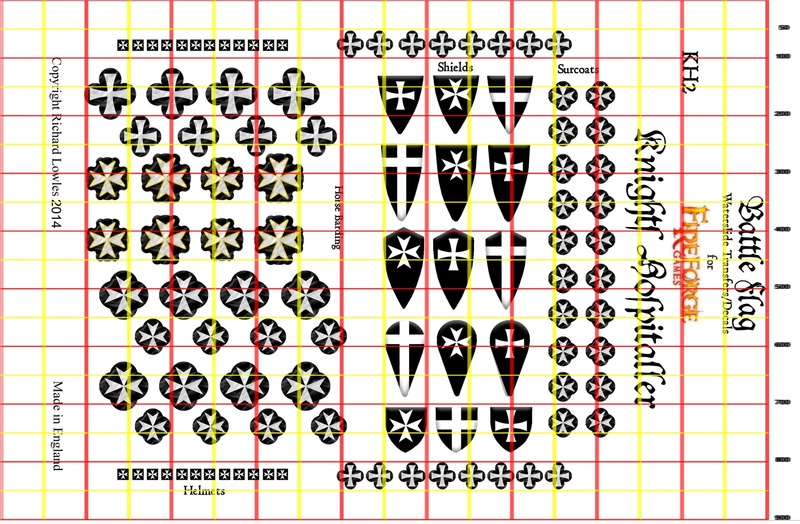 Black transfer kit for Knights Hospitaller. 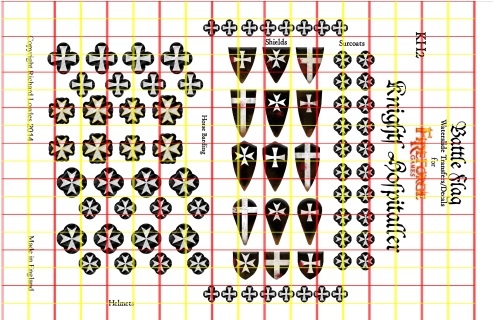 THis transfer set consists of more than 100 transfers to allow you to create a stunning unit of black robed Knights Hospiatller. 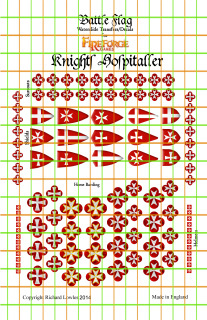 The transfer set consists of more than 100 transfers to allow you to create a stunning unit of Hospitaller Knights with battle worn shields. 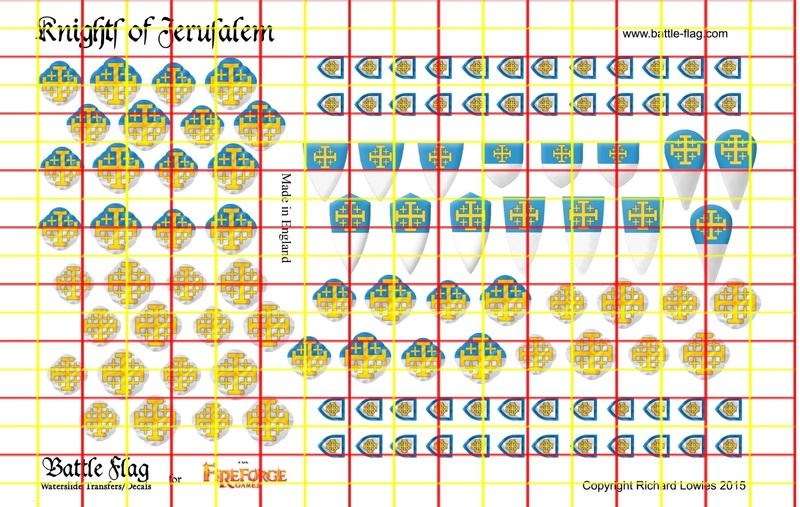 This Transfer set allows you to create a full unit of the Knights of Ibelin. 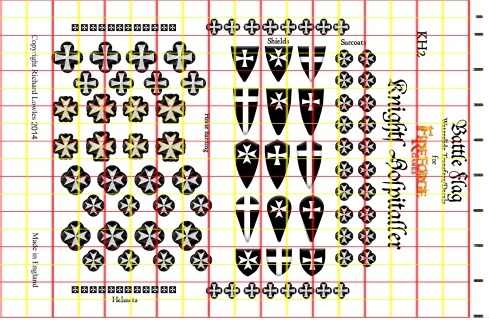 With more than enough waterslide decals for a full box of Fireforge Games Plastic Templar Knights. 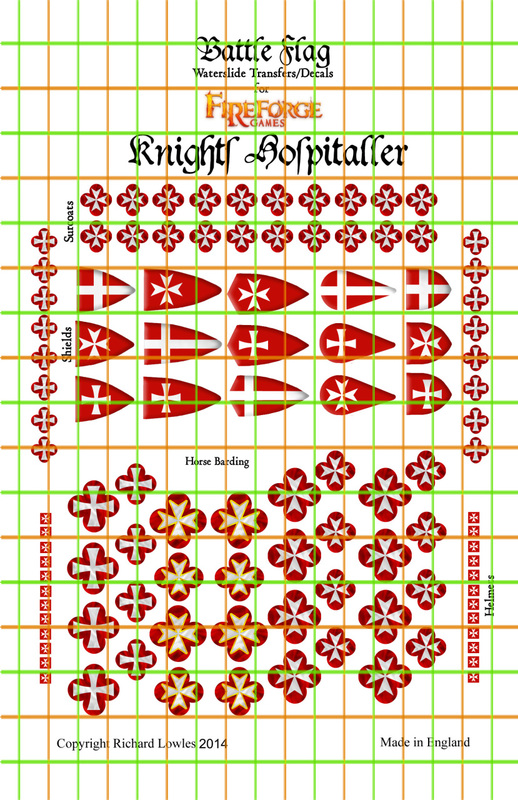 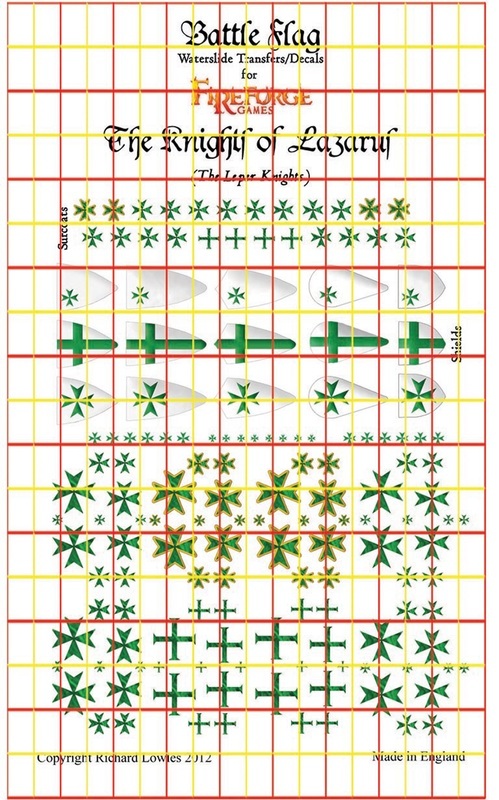 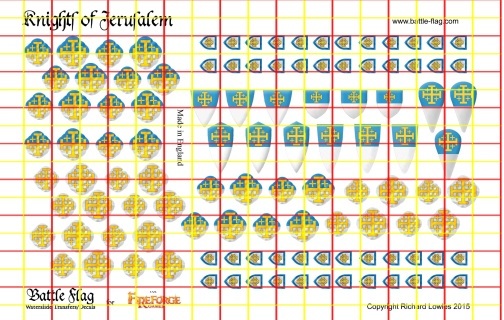 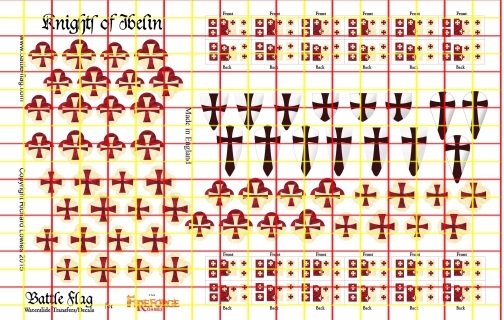 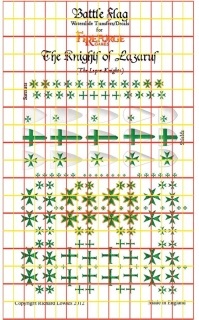 This waterslide transfer/decal set allows you to create a superb set of the resplendent Knights of Jerusalem. 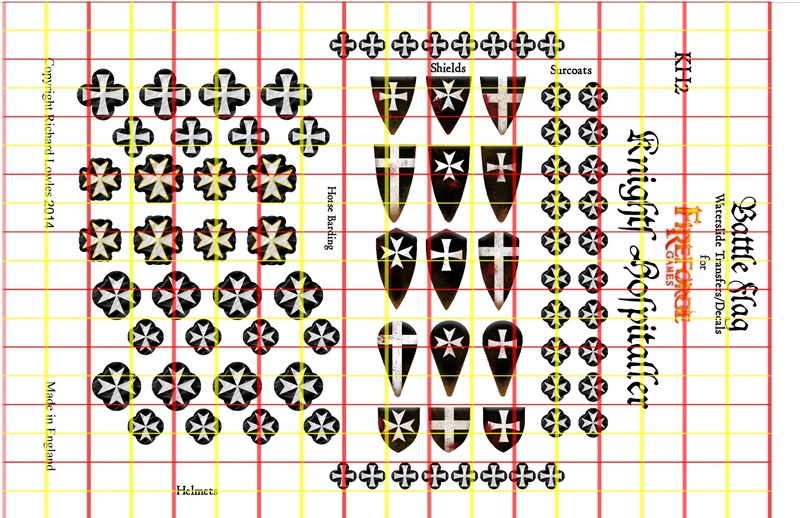 The set consist of more than enough decals to complete a full box of Fireforge Plastic Templar Knights with transfers to spare.